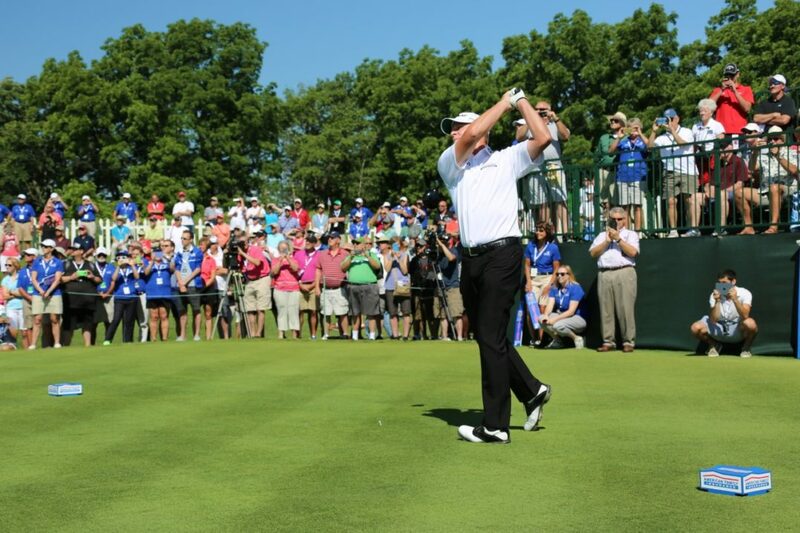 Wisconsin native Steve Stricker strikes the ceremonial opening tee shot at last year's AM FAM Championship. MADISON, Wis. (April 4, 2017) — The reunion of three Wisconsin golf legends is official. Tournament host Steve Stricker and fellow Madison resident Jerry Kelly have committed to the 2017 American Family Insurance Championship. Wisconsin native Skip Kendall has also signed up for the PGA TOUR Champions event, to be held June 23-25 at University Ridge Golf Course in Madison. Stricker and Kelly became eligible to play for the PGA TOUR Champions when they turned 50 this year. Kendall, who played in the 2016 American Family Insurance Championship under a sponsor’s exemption, qualified for full-time status on the tour earlier this year. “I can’t wait,” Stricker said. “The three of us competed against each other as juniors, amateurs and then as players on the regular tour. Now, we get to test each other on the PGA TOUR Champions, and back on our home turf. It’s going to be a lot of fun – and competitive.” Stricker, Kelly and Kendall are all members of the Wisconsin Golf Association Hall of Fame, inducted in 2006 and 2007. Stricker, an Edgerton native, is a 12-time winner on the PGA TOUR, winner of the 2012 Payne Stewart Award, past player on the U.S. teams for the Ryder Cup (2008, 2010 and 2012) and President’s Cup (1996, 2007, 2009, 2011, 2013) and captain of this year’s U.S. President’s Cup team. In his first two PGA TOUR Champions events, Stricker finished second at the Tucson Conquistadores Classic and tied for third at last week’s Mississippi Gulf Resort Classic. He is playing this week at the Masters in Augusta, Georgia. Kelly, a lifelong Madison resident, is a three-time winner on the PGA TOUR and past player on the U.S. Presidents Cup team (2003). Playing on the PGA Tour in 2016, he advanced to the FedExCup Playoffs for the 10th straight year, one of only 16 players to do so. He finished third in his PGA TOUR Champions debut in mid-February at the Chubb Classic in Naples, Florida, and followed that up with a top-15 finish in Tucson. 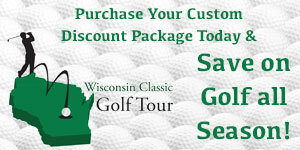 Kendall was born and raised in the Milwaukee area, before playing collegiate golf at the University of Nevada-Las Vegas. He then hit the professional golf ranks, winning four times on the Web.com Tour, and earning 26 top-10 finishes on the PGA TOUR and three top-10 finishes on PGA Tour Champions. Kendall finished tied for 29th in last year’s American Family Insurance Championship. Tickets for the American Family Insurance Championship are available at the tournament website (at www.amfamchampionship.com), with special discounts for certain tickets purchased before June 1, including:  $5 off a $25 general admission ticket  $5 off $20 AARP Champions tickets (50 years +)  $10 off $50 Clubhouse tickets (Clubhouse tickets include special amenities) Active duty, reserve and retired military personnel can again enjoy a free three-day pass and any child 15 and under gets free admission to the tournament with a paid adult admission. Fans can also follow the tournament’s social media channels: Twitter: @amfamchamp; Facebook: American Family Insurance Championship; and Instagram: AmFamChampionship.